Special Containment Procedures: SCP-1723 is to be contained in a humanoid containment cell that has been modified to act as a Faraday cage, blocking any incoming radio broadcast. Due to several ailments related to SCP-1723's age, a doctor is to be on-call for SCP-1723 at all times, since there is the possibility of a sudden medical emergency. SCP-1723 is to be confined to the cell at all times. 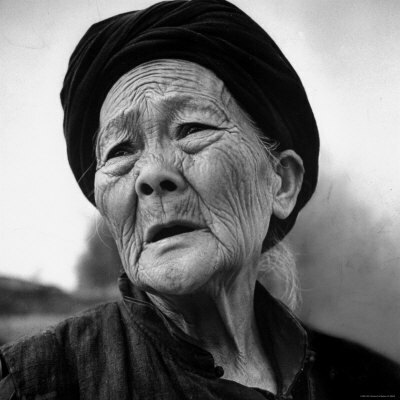 Description: SCP-1723 is a human female of Uzbek descent, approximately 90 years old. The subject stands at 1.4 meters tall, with grey hair, and weighs 39.2 kilograms. SCP-1723 is able to receive the contents of any radio waves passing within 300m of the subjects location, with SCP-1723's spine and brain acting as the receiver. SCP-1723 "hears" these broadcasts as disembodied voices. The subject can pick up on any radio signal broadcasted between the frequencies 88Mhz and 245Mhz. All broadcasts are heard in real time. The subject can pick up on any broadcast, regardless of the level of encryption. SCP-1723 can understand messages sent in Uzbek, English, Russian, French, German and in Morse code. Briefly contained in 1958, it was recovered in 1996, from a mental hospital in the Russian Federation, where she was being treated for her Alzheimer's disease and Dissociative Identity Disorder. SCP-1723 came to the Foundation's attention when reports of a patient able to hear mobile phone transmissions reached agents embedded in the local military. When agents arrived to investigate SCP-1723, the subject began repeating classified information being broadcast over the agents radios. SCP-1723 was taken into containment, and classified as Safe. The subject is suffering from several degenerative conditions, including Alzheimer's disease, osteoarthritis, cataracts, and deafness in the left ear, with limited hearing in the right. Note that the deafness does not affect the subject's ability to "hear" radio broadcasts. In addition, SCP-1723 has suffered multiple broken bones and minor brain damage at some point in the past, which was not treated properly. SCP-1723's dissociative personality manifests as an imitation of the personalities belonging to several Cold War-era politicians and military figures, including [DATA EXPUNGED]. FMRI scans of the subject's cranium have revealed several small "dead zones" in the frontal lobe. These appear to be related to SCP-1723's radio ability, as they "light up" when radio waves are being received. Addendum: During the investigation that resulted in SCP-1723's capture, a small datebook was found in the subject's cell. It appears to have been used as the subject's diary during the time SCP-1723 was held captive by the GRU. Very little of the diary is legible, and only a few entries are relevant. I think I am losing my mind. these lucid periods keep getting shorter and shorter, and the haze gets overlong. I am afraid that if I cant perform my duty they will kill me. I don't know what to do. I must try to stop the haze, to recover. For my mother.